First Friday of November is this week! November 2nd brings the opportunity to get a jump on the shopping season with a Shopping Kickoff in Downtown West Chester. The stores are open late, offering specials and refreshments and lots of great new items for the gift-giving season. See highlights of what’s new and what’s cool. The fun starts at 5pm. Remember, First Friday is every month. Don’t miss Jazz at the Courthouse presented by the Uptown! Entertainment Alliance at 6:30pm featuring the Blackbird Society Orchestra, Philadelphia’s premier 1920s hot jazz orchestra. 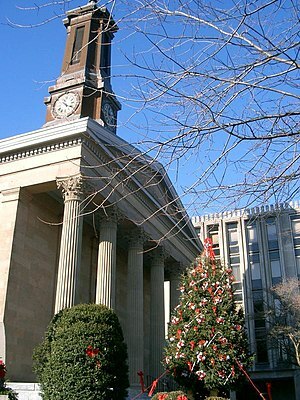 It all takes place on the steps of the historic Chester County Courthouse at the corner of High & Market Streets in West Chester. FREE.